Turn the deep fryer on to 375F. Cut the pork loin in medallions. Put the pork in a Ziploc bag and pound till thin. Have 3 bowls ready one with the flour, one with the breadcrumbs and one with the egg wash. To make the egg wash add 1 tbsp water to the eggs and whisk. Season the medallions with season all. 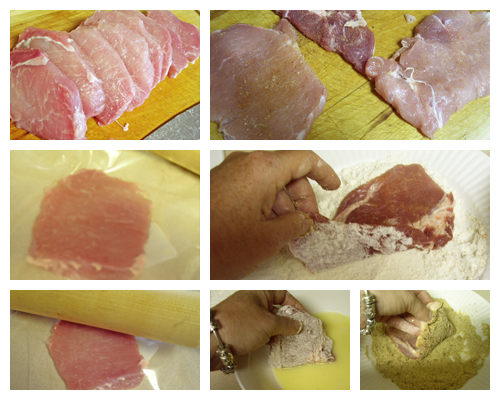 Dredge the pork loin in the flour, then the egg wash, and last in the breadcrumbs. 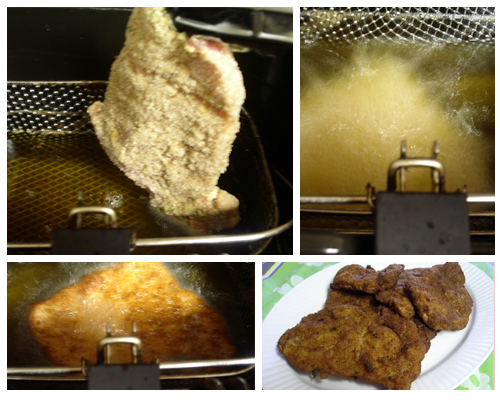 The meat is pounded thin so this does not take long to fry, about 3 minutes. Fry in a 375F till golden brown. 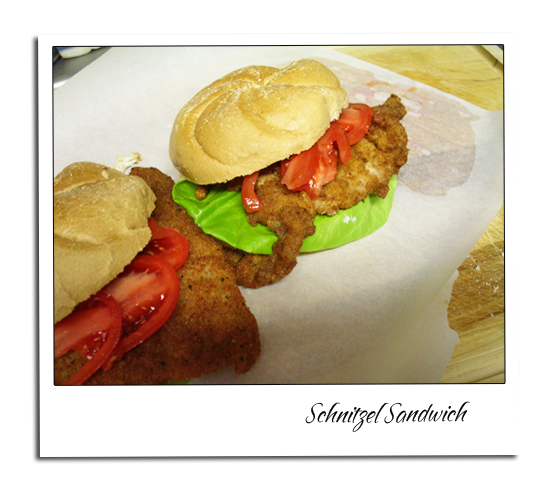 Put on a German Broetchen with Bibb Lettuce and a few slices of tomato.